U.S. President Donald Trump rejoined his war of words with North Korean leader Kim Jong-un, saying Friday night, "We can't have madmen out there shooting rockets all over the place." Earlier Friday, Kim Jong-un called Trump a "mentally deranged U.S. dotard" and hinting at frightening new weapons tests. 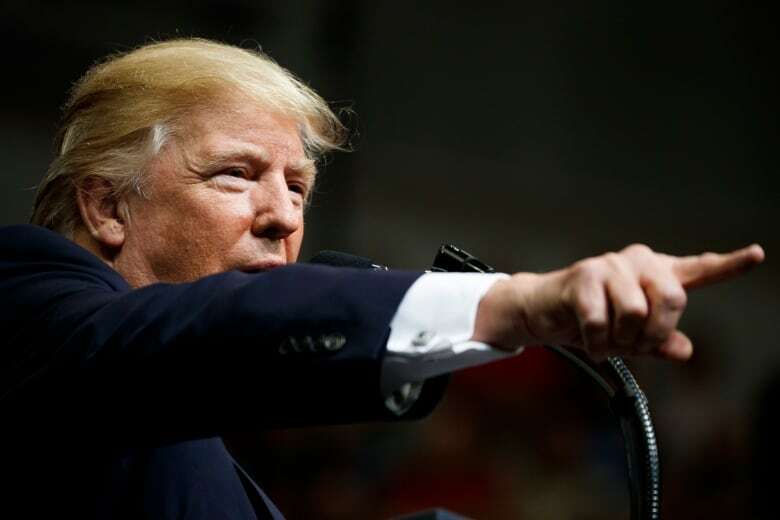 U.S. President Donald Trump rejoined his war of words with North Korean leader Kim Jong-un Friday night, saying, "We can't have madmen out there shooting rockets all over the place." "Rocket Man should have been handled a long time ago" by the three previous presidents, Trump said, addressing a rally in Montgomery, Ala. Addressing Kim, Trump said, "Little Rocket Man, we're going to do it, because we really have no choice." Earlier Friday, Kim called Trump a "mentally deranged U.S. dotard" and hinted at frightening new weapons tests. It was the first time for a North Korean leader to issue such a direct statement against a U.S. president, dramatically escalating the war of words between the former wartime foes and raising the international nuclear standoff to a new level. Trump responded by tweeting that Kim is "obviously a madman who doesn't mind starving or killing his people." In a lengthy statement carried by state media, Kim said Trump would "pay dearly" for his recent threat to destroy North Korea. He also called Trump "deranged" and "a rogue and a gangster fond of playing with fire." Kim said his country will consider the "highest level of hardline countermeasure in history," a possible indication of more powerful weapons tests on the horizon, but didn't elaborate. His foreign minister, asked on a visit to New York to attend the UN General Assembly what the countermeasure would be, said his country may test a hydrogen bomb in the Pacific Ocean. "I think it could be the most powerful detonation of an H-bomb in the Pacific," Ri Yong Ho said, according to South Korean TV. "We have no idea about what actions could be taken as it will be ordered by leader Kim Jong-un." Kim's statement was unusual because it was written in the first person. 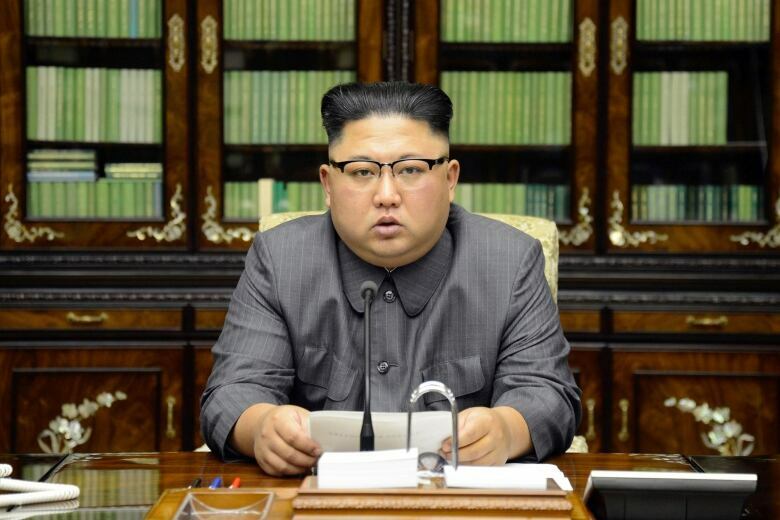 North Korean state TV later showed a solemn-looking Kim, dressed in a gray Mao-style suit, reading the statement. South Korea's government said it was the first direct address to the world by any North Korean leader. Some analysts saw a clear sign that North Korea will ramp up its already brisk pace of weapons testing, which has included missiles meant to target U.S. forces throughout Asia and on the U.S. mainland. An H-bomb test in the Pacific, if realized, would be considered a major provocation by Washington and its allies. North Korea has conducted six nuclear test explosions since 2006, all at its northeastern underground test site. Susan Thornton, acting assistant secretary of state for East Asia and the Pacific, told reporters on Friday that an H-bomb test in the Pacific would be an "unprecedented act of aggression" by North Korea that would draw a "concerted and determined international response." Japanese Defence Minister Itsunori Onodera noted a Pacific test could mean a nuclear-armed missile flying over Japan. He said North Korea might conduct an H-bomb test with a medium-range or intercontinental ballistic missile, given its recent advances in missile and nuclear weapons development. "We cannot deny the possibility it may fly over our country," he said. "And if the test doesn't go according to plan, you could have population at risk, too," he said. "We are talking about putting a live nuclear warhead on a missile that has been tested only a handful of times. It is truly terrifying if something goes wrong." North Korea was slapped with new, stiffer sanctions by the United Nations after its sixth and most powerful nuclear test on Sept. 3. In recent months, it has also launched a pair of still-developmental ICBMs it said were capable of striking the continental United States and two intermediate-range missiles that soared over Japanese territory. North Korea says it needs to have a nuclear deterrent because the United States intends to invade it. Analysts say the North is likely to soon achieve its objective of possessing nuclear missiles capable of reaching any part of the U.S. homeland. Kim's statement was in response to Trump's combative speech at the UN General Assembly on Tuesday in which he mocked Kim as "rocket man" on a "suicide mission" and said that if "forced to defend itself or its allies, we will have no choice but to totally destroy North Korea." Kim said Trump's remarks "have convinced me, rather than frightening or stopping me, that the path I chose is correct and that it is the one I have to follow to the last." He also said he would "tame the mentally deranged U.S. dotard with fire." Dotard means a person in a feeble or childish state due to old age. It's a translation of a Korean word, "neukdari," which is a derogatory reference to an old person. Past KCNA reports have used the Korean word against South Korean conservatives, but they rarely translate it as dotard. Sometimes, it is translated into the neutral "old people" or omitted, depending on the context or the importance of the statement. KCNA last used the word in February to describe supporters of ousted South Korean President Park Geun-hye, whom it also called "neukdari" and a "prostitute." Before that, KCNA called Park's conservative predecessor, Lee Myung-bak, "the traitor like a dotard." Hours before Kim's statement, Trump announced stiffer new sanctions on North Korea as he met his South Korean and Japanese counterparts in New York. "North Korea's nuclear weapons and missile development is a grave threat to peace and security in our world and it is unacceptable that others financially support this criminal, rogue regime," Trump said as he joined South Korean President Moon Jae-in and Japanese Prime Minister Shinzo Abe for lunch.